Ahh, finally! A full butterfly render! I love it! 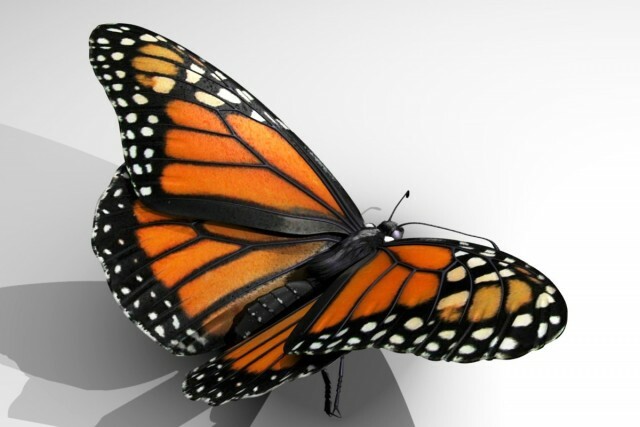 Here you are folks, a Monarch Butterfly, in 3d, reconstructed from a diseased specimen. Special thanks to my wife for bringing the original butterfly back, helping me photograph it, and putting up with several days of me ignoring her while I worked on the model and texturing.